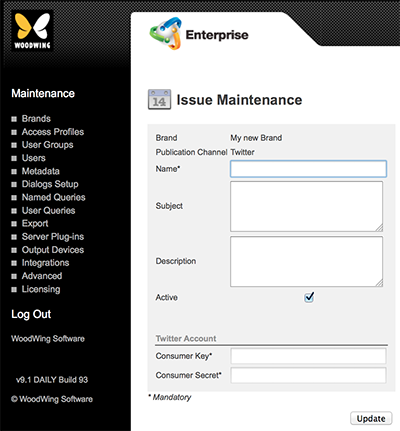 This article describes how to set up a Publication Channel in Enterprise Server 10 for publishing content to Twitter. Active. 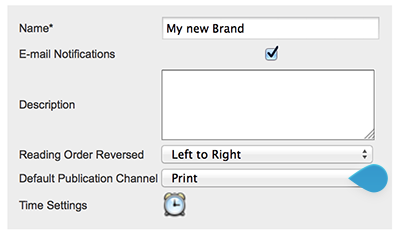 Use to deactivate the Issue. This will hide the Issue from the users without actually removing the Issue from the system.